Me too! Me want this book – stat! Me like Bob Shea now. Me found out Bob Shea through Vivian’s PPBF, Dinosaur vs. The Library. Me think your choice is great! Me look in library. Me borrow if me find one! What a cute book and fantastic review…. thankyou Penny loved the cave talk. Your suggested activities are great and reminded me of when at school I used to love making farm scenes on boards using rocks, moss, twigs etc… and putting my cut out animals in it. Can just imagine someone making a cave on cardboard by using twigs and molding with a little wet mud adding moss and sand for the ground with bits of stone and twigs dotted here and there and sticking their little cave men cut outs in… Love, love this kind of thing….lol. Yes I am still a kid at heart! This book looks adorable. I can see how cave man talk would be so fun. Me want book — NOW! Thanks Penny! Thanks for stopping by to read the review, Margaret. If you haven’t read Tammi’s other books…you should. They are a treat. I have to pick up this book! My kids have come up with so many ideas for pets, I think they would find this hysterical! Great choice Penny. I think they would, too. They will love the pets Cave Boy brings home! This is a fantastic review and I love your activities, Penny! I’m going to have to see if our library has this book, I’ve heard nothing but positive reviews about it. Thanks, Heather! I think your boys will like it! Have heard so much about this book, will have to check it out! Sounds like a lot of fun for kids and adults. Liked your activities, very creative. Thanks, Patricia. I know there would be lots of possibilities for activities. I don’t know if teachers could stand it or not…but it may be funny to have the kids write 5 sentences in cave-talk. That would go against grammar rules, but would open up a discussion on grammatical correctness. I am a retired teacher and I think I would take it on if I was still in the classroom. Like your idea. Still could be mae into a teachable moment. Very creative. Think you and I are the same generation. I have seen this book everywhere lately! I am a fan of Tammi Sauer’s other books, so I am certain I will love this one too. Thanks for the great review, Penny! 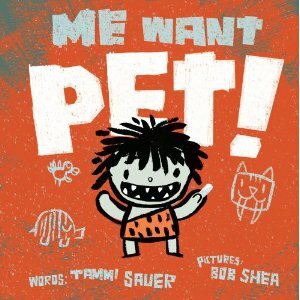 If you are a fan of Tammi Sauer’s books, you will be a fan of Me Want Pet! I had fun doing the review. Thanks for stopping by. Me want you buy. Me want you give. Me want have, read, keep. 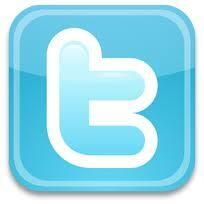 If you have time, stop back by and tell me what you think! I’ve been hearing so much about this book. Sounds great! If you haven’t read her books, they are all worth a read (or two…or three). I haven’t read Bawk and Roll yet. It is the sequel to Chicken Dance, which I thought was so clever. I need to find it and read it. Me think this is awesome review. Me want book. Me want NOW! Thanks, for stopping by to read the review. I study Tammi’s books. She is so talented with her words. Her books should be used as examples for every writing course on picture books…in my opinion. Go buy it Robyn!!! You won’t be sorry! I was so excited when I won it….and then when it arrived at my door…PARTY! Ok, I feel like I am the only person who hasn’t read this book. Me love Bob Shea. Me get book now! I think it will be a hit at your house. I predict your boys will love it and you will come up with fun activities to enhance it! Me hooked too. Me like activities too. Cool. Glad you liked the activities. I know there are lots of possibilities with a book this cute! This book ROCKS! My sister and I made drawings of our own cave pets for cave boy I really like your paper bag activities! For some reason…the brown paper bag seemed perfect for a cave book. I imagine you and your sister drew some awesome pets for Cave Boy! Me laughing, I think you need me therapy lol. It does sound like an addictive book and I used to adore Captain Caveman so I’m sure to like it. My son actually uses me want etc all the time so he’d love it too.